Furthering what the Grateful Dead started 26 years ago with its own benefit concerts and other fundraising initiatives, the Rex Foundation endeavors to fund grassroots programs that are often under the radar of larger funding entities, yet work in bold, innovative ways to carry out essential work toward a healthy environment, promotion of the arts, protection of indigenous cultures, assisting others less fortunate, building strong communities and educating children and adults everywhere. The Rex Foundation has distributed $8.6 million in grants to over 1,000 programs across the U.S. and internationally, while also carrying out initiatives that foster creativity and positive community connections. The Rex Foundation website provides a complete list of grantees as well as information about current initiatives. The ACLU is our nation’s guardian of liberty, working daily in courts, legislatures and communities to defend and preserve the individual rights and liberties that the Constitution and laws of the United States guarantee everyone in this country. We staunchly support every person’s right to make personal decisions – without government interference – about religion, political ideals, reproductive choice, marriage, and other family and lifestyle matters. We are working to make sure that emerging technologies do not diminish our rights to privacy and that freedom of speech is protected in cyberspace. The ACLU’s mission remains realizing the promise of the Bill of Rights for all and expanding the reach of its guarantees to new areas. The Connecticut Clean Energy Fund promotes, develops, and invests in clean energy sources for the benefit of Connecticut. Through these efforts, our state will lead the nation in attaining a sustainable balance of energy production, economic growth and environmental impact. Family Centers is a private, nonprofit organization offering education and human services to children, adults and families in Fairfield County. More than 1,400 professionals and trained volunteers work together to provide a wide range of responsive, innovative programs. Through our five Centers of Excellence, more than 15,000 children, adults, families and communities receive the care, encouragement and resources needed to realize their potential. FM World Charities is a registered 501(c)(3) not-for-profit organization devoted to promoting public health and improving the quality of life in underserved communities throughout the world. FM aims to increase awareness of issues pertaining to public health and wellness while also providing basic primary care to those without access to healthcare. 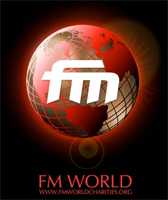 Having roots in an established record label with charity at its core, FM World enlists celebrities and media personalities to accomplish its goals and projects. HeadCount is a 501(c)(3) non-partisan, not-for-profit organization devoted to voter registration and turnout. We are aligned with all of the top performers in improvisational music, including The Dead, Phish and Dave Matthews Band, and register voters at their concerts. HeadCount has registered 50,000 voters nationwide, more than any all-volunteer group in the country. The New England Organ Bank (NEOB) is the oldest independent organ procurement organization (OPO) in the country. It is the federally-designated OPO for all or part of the six New England states. In addition to this regional coverage, NEOB provides services to Bermuda.Through its nine regional offices, NEOB serves twelve transplant centers with the combined capacity to perform all types of organ transplantation. NEOB allocates organs for transplant regionally and nationally through the United Network for Organ Sharing’s (UNOS) national network. Oxfam America is an international relief and development organization that creates lasting solutions to poverty, hunger, and injustice. Together with individuals and local groups in more than 90 countries, Oxfam saves lives, helps people overcome poverty, and fights for social justice. Save the Sound, a program of Connecticut Fund for the Environment, is dedicated to the restoration, protection, and appreciation of the Long Island Sound region through advocacy, education and research. Save the Sound cleans up beaches, builds fish ladders and successfully defends the Sound from multi-national oil companies. Seva is an international health organization working to build sustainable programs in underserved communities around the globe. 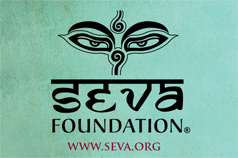 The name Seva (say-va) is the Sanskrit word for “selfless service.” Seva was founded in 1978 by a group of medical professionals, counterculture activists, musicians, and compassionate individuals, all dedicated to the alleviation of suffering in the world. Most notably among them are public health expert Dr. Larry Brilliant, spiritual leader Ram Dass, and humanitarian activist Wavy Gravy. The World Peace Prayer Society cordially invites you to join in the Universal Prayer May Peace Prevail on Earth. People all over the world are joining together to bring peace to our hearts and our planet through the prayer May Peace Prevail on Earth. This prayer for world peace carries a message of great hope and healing. It transcends barriers of nationality, race and religion, to unite humanity in a call for the common good of all life on Earth.